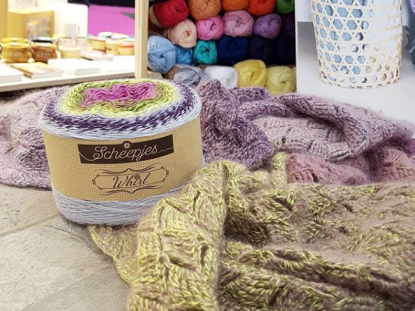 The latest YARN bookazine by Scheepjes has landed! The new issue, nr 6, is called FOLK and will be in stores near you soon. In the meantime you can already browse the patterns on Ravelry. 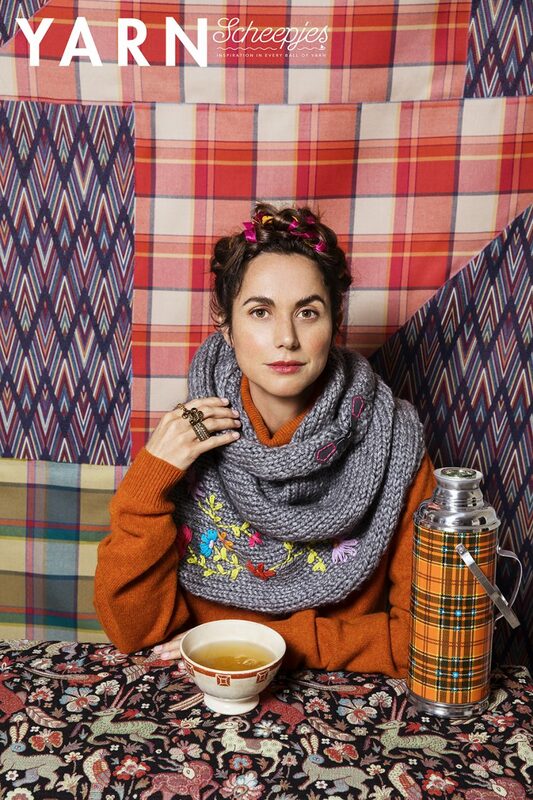 The FOLK issue is one of my favourite issues so far, the patterns are so whimsical and fun! 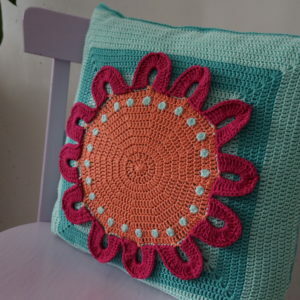 I love the colours as well, they are very ‘moody’ but I seem to really like those at the moment. I guess it’s the season! It’s so fun because as part of the designing team, we worked on the patterns for this issue way back in spring 2018. I remember everyone around me crocheting flowers in pastel colours and here we were, working on winter items. Seeing it all fall into place months later is so, so satisfying! So let me tell you a bit more about the designs I contributed to this issue. I have one knit design and one crochet design. 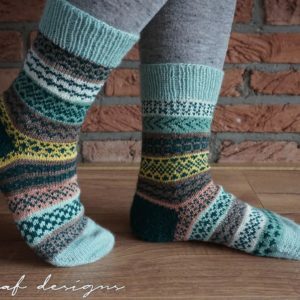 The knit design is this pair of colourwork socks! 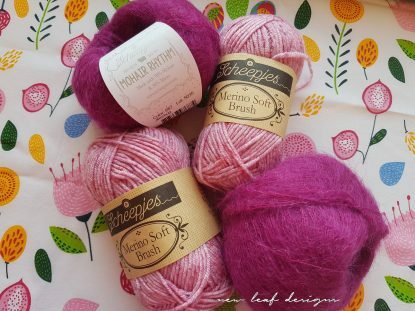 When I swatched for it, immediately the name ‘Winterberry’ came to mind, and I’m so glad they’ve kept that name. So here I introduce to you: the Winterberry socks! I used two balls of Scheepjes Our Tribe for these socks, 1x Happy in Red and 1x Cypress Textiles. 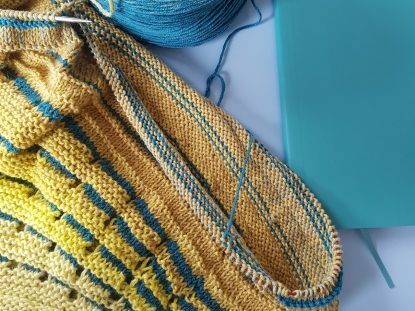 I’ve said it so many times already, but using variegated yarn for colourwork is just MAGICAL! I love how the colours flow from very vibrant hues to more subdued ones.. 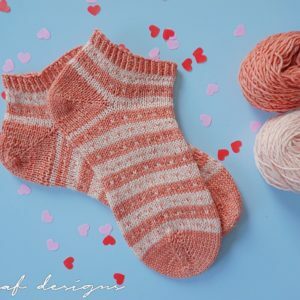 The toe and heel are made in 1 colour, the rest of the sock is all colourwork. Every time I’m just blown away by the photography, I love it so much!! It’s really something to see a design of mine photographed so beautifully, and so different from how I would photograph them. I hope you like them too! 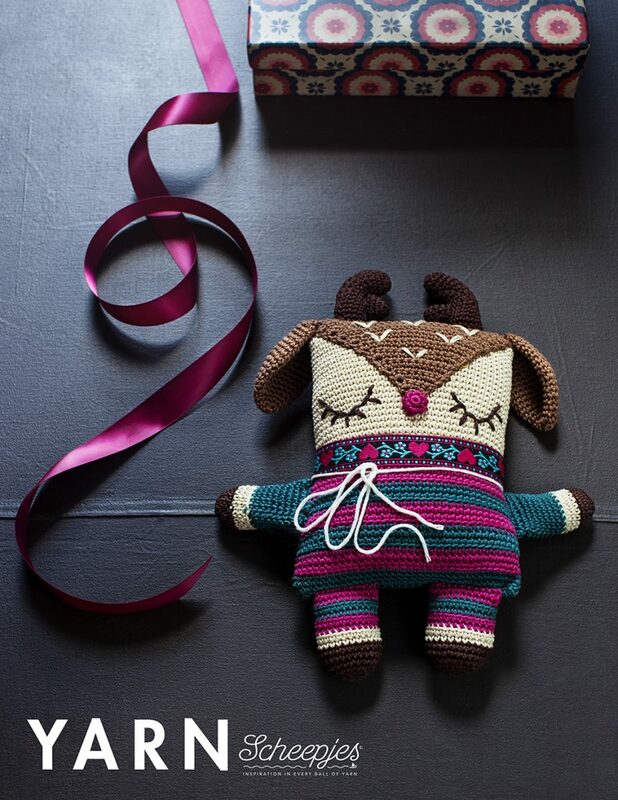 I also contributed this cute little reindeer soft toy! I had a lot of fun making this little guy, and I hope many of you will have fun making him too. I can’t wait for you to see the reindeers my testers have made, they are all so cute! 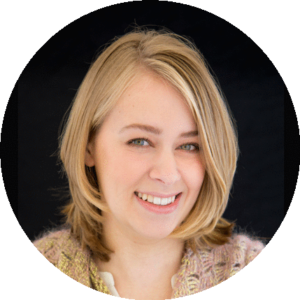 I’ll tell you more about my designs and my favourite designs in the issue in a couple more days, but I’ll show you some other beautiful patterns in the meantime! 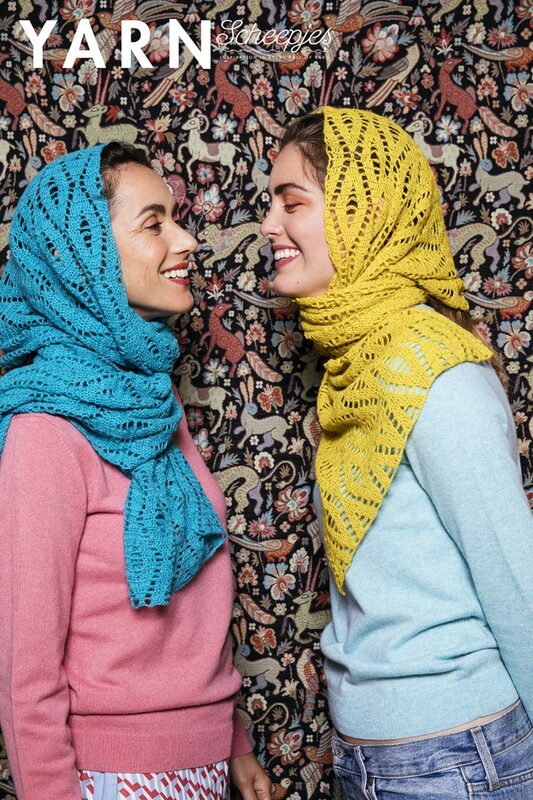 What do you think of these beautiful shawls by Jellina from Jellina-Creations! This is the Farrah Shawl, and uses Scheepjes Alpaca Rhythm with a 2.5mm hook. A very small hook, but look at the amazing effect! 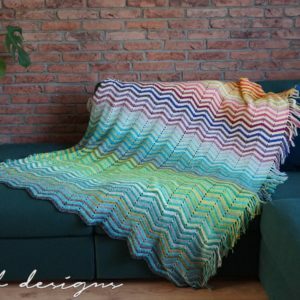 My mom will be making one of these, I can’t wait to see her version. 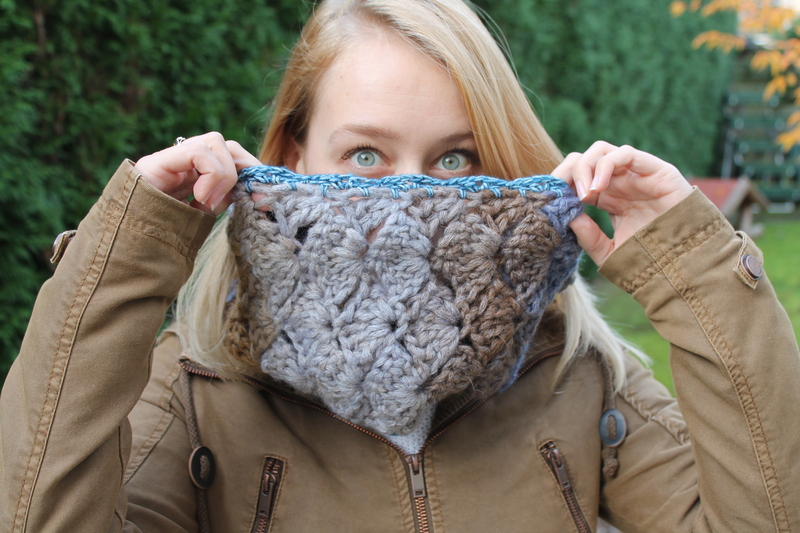 This is the Frida Shawl by Nerissa from Miss Neriss, a chunky knit cowl with beautiful embroidery detail. The flowers, the clasp, the lovely chunky wool, what’s not to love! And I’m totally braiding ribbons in my hair this christmas. This Shawl uses Scheepjes Peru, a lovely alpaca blend yarn. Where to get the bookazine? 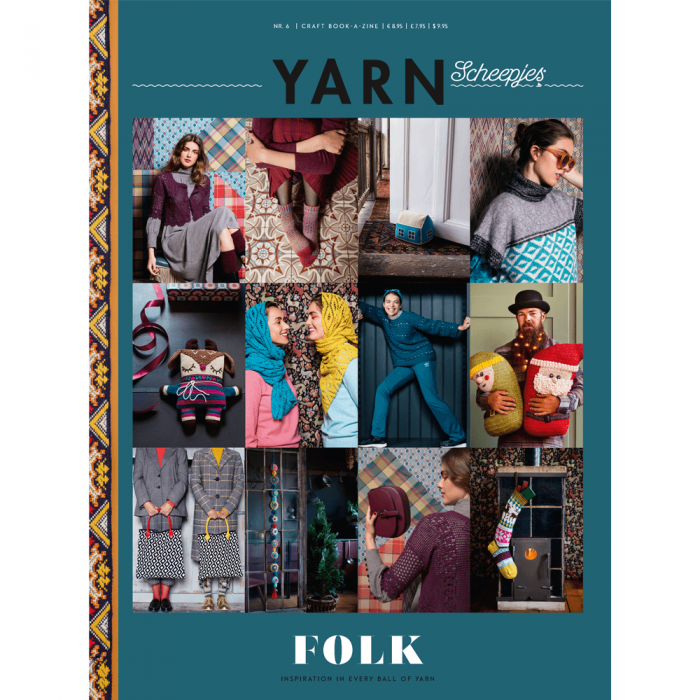 I hope you will like this issue of YARN bookazine as much as I do! Which pattern is your favourite? I don’t see the secret letter in your post. 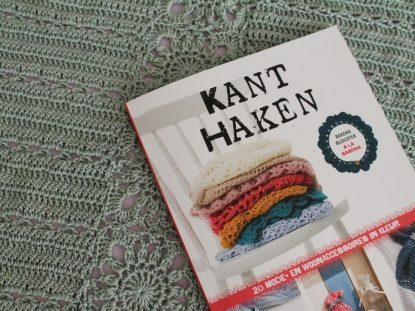 Kant Haken – een review!